Public access PCs and Wi-Fi are provided in the Henry Bloom Noble Library to enable all users to access the internet for educational, informational and recreational purposes. It is our aim to enable access to as wide a range of information as possible and to ensure fair usage. Material considered occult in nature. All users must indicate their acceptance of this policy otherwise they will not be able to use the computers or the internet. Children and young people’s access to the internet is the responsibility of the child’s parent or legal guardian who must sign a consent form before a child under the age of 16 is given access. Douglas Borough Council may monitor access to internet sites and reserve the right to stop anyone using the computers at any time but particularly where there is access of illegal, offensive or controversial material. If appropriate the matter may be referred to the Police. Internet servers have the ability to record access in a log detailing the originator. It should be noted that all access to the Internet may be intercepted, monitored and analysed by Douglas Borough Council. Internet access is filtered in an attempt to screen out offensive, illegal and inappropriate websites. However filtering mechanisms can be crude and may also eliminate material which is acceptable. The library service will consider releasing any such site after careful checking by the Council’s Information Technology section. The library service will also consider requests to block sites which a user considers inappropriate. Douglas Borough Council does not guarantee to filter out all offensive material and is not responsible if access is made to such material. No filter can guarantee 100% efficiency and therefore internet access is recorded to support further action if necessary. Neither can we guarantee a user won’t accidentally get material considered to be offensive. Douglas Borough Council prohibits specific online activities that we consider to be illegal, offensive, obscene, abusive or troublesome to others. Users must not interfere with equipment, amend or delete existing software. 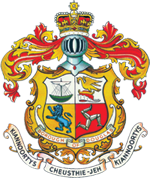 Douglas Borough Council assumes no liability for any loss, damage to information and or property, direct or indirect, suffered as a result of using these computer resources. If we consider you to have broken any of the rules set out in this Access to the Internet Policy, we reserve the right to withdraw your access from immediate effect. This policy will be reviewed regularly to ensure that it remains timely and relevant. Douglas Borough Council reserves the right to change this policy at any time without notice.